It seems that since time memorial in the watchmaking world, watch collectors are asked again and again the same question: why do you love your Omega watch so much? Only a few days ago some of our friends were sitting together and almost spontaneously inquired of each other the same question. Yes many of us do have a special attatchment with watches like the Speedmaster, but the love of Omega watches goes much deeper for seasoned watch enthusiasts. 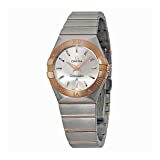 Many avid watch collectors own watches from a plethora of brands like Audemars Piguet, Rolex, (Grand) Seiko, Pattek Philippe, IWC, Chronoswiss, Swatch, G-Shock and a whole lot of other perhaps lesser known ones. Still there are scores of top notch watches out there and hundreds of excellent but lesser known names, yet Omega stands out amongst the best of the best since almost the beginning of “time” in the world of wrist watches. Today Omega’s products include its ubiquitous Swatch watches and luxury brands like Breguet, Blancpain, Omega and Longines. Where are Omega watches made? 1 Where are Omega watches made? 2.1 1). How did Omega come about? 3 How much does an Omega watch cost? 4 What is the Omega Warranty Like? Almost all of the company’s production is in Switzerland. Swatch does produce some watch components in China, Thailand and Malaysia, but the company says they are only minor parts. 1). How did Omega come about? A certain Louis Brandt founded a watch company in 1848 in La Chaux-de-Fonds, Switzerland. This watch company would go on to eventually become known as Omega. Louis Brand would source watch components from local craftsmen in order to assemble key-wound precision pocket watches. He sold his watches from Italy to Scandinavia through England, which was his main market. Louis Brandt’s two sons, Louis-Paul and César joined in with him in 1877, and the company name was consequently changed to Louis Brandt & Fils. The new company went on to produce a new movement called the Omega caliber in 1894 which proved to be a worldwide success, due to its accuracy in timekeeping and ease of servicing and repair. In 1903 and in consolidation of this success, the company name was changed to Louis Brandt & Frére – Omega Watch Co., resulting in the birth of the Omega brand name. In the early days of watchmaking during the 19th and early 20th centuries, whole nations and their industries were dependant on precise mechanical timepieces to compute time. We are talking way before quartz and GPS came about into usage. As a means to test and grade timepieces so as to encourage and motivate improvements in technology, Observatory trials were common. Rather like participating in a Marathon run these chronometric marathons facilitated extreme testing of watches, and the desrving winners would gain great publicity and bragging rights. The watchmaking industry’s elite manufacturers would compete head to head against each other, each eager to win these Grand Slam Watch making championship events. Omega continuously achieved great success at these Super Bowl type events for the watchmaking industry, thereby setting numerous world records. Amazingly at the 1931 Geneva Observatory trials, Omega managed to win First Prize in all six categories. On the back of gaining such monumentous recognition and high acclaim, Omega went on the offensive with the advertising catch phrase “Omega – Exact time for life.” They pointed out that this was not exagerastion, but a claim backed up by decades of Observatory trial results and there from related industry awards and accreditations.. Anybody know who took lead in the first land expedition to travel to the North Pole? Was it Christopher Columbus or maybe Francis Drake? What about Captain Cook or perhaps Ralph Plaisted? Amazing story of Ralph Plaisted, an insurance salesman from Minnesota who liked to be in the wild open wilderness with his snowmobile. Friends jived at hime to drive all the way to the North pole if he loved the newly-invented snowmobile so much. The story is truly amazing as they built team and set off on the 412-mile adventure from Canada’s Ward Hunt Island. With their snowmobiles loaded up with supplies and armed with Omega Speedmasters and sextants to help navigate to their destination which took 43 days finally arriving on April 19, 1968. Their feat of achievement was independently confirmed by a U.S. Air Force C-135 which flew directly overhead confirming their position directly on the North Pole. A few years later in February, 1990, a certain Arved Fuchs and Reinhold Messner crossed Antarctica on foot. The 1,740-mile journey took 92 days. With temperatures of -40° F and wind speeds of more than 90 mph, they crossed the Thiel mountains to the South Pole, then followed on to McMurdo Sound on the Ross Sea. Reinhold Messner was also armed with an Omega Speedmaster for this expedition. During the space missions of the sixties astronauts approached NASA bosses and requested to be given watches to use during training sessions and actual flight. NASA was at the same time testing and certifying all the various bits of equipment to be used by astronauts. When it came to watches NASA wenbt on to vigorously test various watches selected from Longines Omega and Rolex. All watches were tested under extreme conditions in such a way that would lead to the eventual destruction of each and every watch. Low and behold on 01.03.1965 the Omega Speedmaster reference ST105.003 was selected as the winner and certified “Flight Qualified for all Manned Space Missions”. The Seamaster line of Omega watches was launched in 1948 in celebration of Omega’s centenary milestone. The Seamaster can still be found in the current collection which also comprises the Omega Speedmaster, Constellation and De Ville. The Seamaster was derived from the type of Omega timepieces issued to the British military towards the close of the second World War. A few years later in 1957, Omega released a Professional range of Seamaster watches led by the Omega Seamaster 300. The famous underwater explorer Jacques Cousteau and his team in 1963 used the Seamaster 300 during their “Precontinent II” testing and analysis adventures conducted in the Red Sea verifying that deep sea divers could live under water in a saturated gas environment for extended periods of time without suffering from adverse side effects. Furthermore a number of special Military units, including the British Special Boat Service, selected the Omega Seamaster 300 for use as their official watch for operations. In 1970 after four years of research and testing Omega launched the Seamaster 600 to assist deep sea divers to live and work at increasingly greater depths. Omega tested the Seamaster 600 (PloProf) to 600 meters in the factory and to 1,000 meters near the coast of Marseilles. In September, 1970, three COMEX divers whilst working at a depth of 250m, wore the Seamaster 600, for 4 hours a day for eight days on the trot. Jack Cousteau’s team also wore Seamasters to depths of 500m off the coast of Marseille whilst conducting tests on the various effects on divers when working to depths of up to 500m. The latest version of the Omega Seamaster still to this present day is synonymous with the world of professional diving. Omega released its first chronograph timepiece in 1898 and within a decade was officially used for timekeeping at dozens of major sporting competitions. At the 931 Geneva Observatory trials, Omega was pronounced winner in all 6 categories. The awards, acclamations and unmatchabkle timekeeping precision prompted the International Olympic Committee to appoint Omega as the official timekeeper of the 1932 Los Angeles Olympics. Never before in the history of the Olympics had one watch brand been given sole responsibility for the timekeeping of all events. Previously timekeepers had used their own personal stopwatches. Omega delivered for the first time in Olympic history high-accruracy chronograph timepieces engineered to measure to 1/10th of a second. These Omega’s had been certified as chronometers by both the Observatory at Neuchâtel and the National Physics Laboratory of the United States. Despite being able to deliver such accuracy for the first time, these Omega chronopgragh stopwatches still could not resolve every single Olympic controversy. In particular relating to five different races where the perceived winner and second place both clocked in with exactly the same time. Another incident most famously recordered with the timekeepers’ hand-held Omega stopwatches, was where both Ralph Metcalfe and Thomas Edward “Eddie“ Tolan clocked-in three readings of 10.3 seconds for Metcalfe and two readings of 10.3 and one of 10.4 seconds for Tolan during the 100m sprint. Despite this Tolan was declared winner, with the aid of an early Olympic “photo finish.” This all added to the controversy as the crowd clearly was of the impression that Metcalf had won the race. The end of the race was filmed using a “Chronocinema“ camera capable of recording timings to the nearest 1/100th of a second. The Olympic rules at the time certified the winner would be the first sprinter whose torso completely crossed the finish line and not the one whose torso reached the line first. The judges after close examination declared that Tolan had won, as his torso had fully crossing the line 5/100ths of a second before the the torso of Metcalfe. Consequently it became understood that even more precision and accuracy would be required in the future in order to unoquivocally determine winners from losers. Omega recommends that for the present age Olympic timekeeping several hundred professional timekeepers and data handlers are required, supported by up to a thousand specially trained local volunteers. The whole troop to use around 400 tons of timing equipment which includes scoreboards, miles of cables as well as use of optical fiber and state-of-the-art timekeeping and data-handling technology specially produced for Omega according to the peculiarities of each sports event. Who hasn’t heard of James Bond? That super spy who has worn a few gadgets and watch brands over the years in action. All in all it is Omega above all who have become synonymous with the James Bond series. Notable episodes of remembrance were the “Golden Eye” where the new James Bond character played by Pierce Brosnan debuted with the infamous Omega Seamaster gracing his wrist. Other episodes including “Tomorrow Never Dies”, “The World is Not Enough”, “Quantum of Solace”, “Die Another Day”, “Casino Royale”, “Skyfall” and “Spectre”. The watches used in James Bond films when up for auction achieve astounding sales figures. The Omega Seamaster Planet Oceans are there achieving the 2 highest winning bids. The Seamaster used in the filming of “Casino Royale”, sold in 2007 at the Antiquorum Omega Mania Auction for CHF 250,250. The other Seamaster Planet Ocean which was used in the filming of Skyfall was sold at Christies’ Auction celebration the “50 Years of James Bond” Auction sale in 2012 for CHF 236,473. Omega watches continue to be used in the shooting of many films including “Up in the Air”, “The Bounty Hunter”, “Salt”, “War of the Worlds”, “The Omega Man”, “The Right Stuff”, “Event Horizon”, “Millennium”, “Jack Reacher”, “Seven Years in Tibet”, “Agents of S.H.I.E.L.D.”, “Ronin”, Apollo 13 and “My Fellow Americans”. Notably one of Omega’s most well known “starring roles” can be seen in “Apollo 13” where an unfortunate explosion in the film caused the spacecraft with the “unlucky” number to lose almost all supplies of both electrical energy and oxygen. The film shows how the astronauts using their issued Omega Speedmasters were able to successfully negotiate precision re-entry procedures into the atmosphere and get safely back to Earth. As the onboard electrically operated timer had failed, they had to rely on their Omega Speedmasters to time critical burning of engines on and off. Each burn had to be done to the exact the correct duration in order for the space vehicle to point in the exact position so that it could enter the atmosphere without bouncing off or burning up whilst doing so. As can be expected from Omega and their Speedmasters, they performed exquisitely without a flaw therby ensuring that the astronauts and crew returned home safe and sound. Religious leaders not excluded, Pope John Paul II was fond of his Omega De Ville “Classic”. Elvis Presley was keen on his good looks and styling often wore an Omega while in military service in Germany. Also Buddy Holly wore white gold ultra-thin Omega with pride and was found wearing it in 1959 when his plane crashed. Ringo Starr of the infamous Beatles wore an Omega Constellation during their performances. Not to forget probably one of the most famous Omega watch owners owners was President John F. Kennedy. He famously wore an Omega watch during his Presidential inauguration as 35th president of the United States of America in 1961. That Omega had been given to Kennedy as a present by a close friend before the Presidential election, engraved with the words “President of the United States John F. Kennedy from his friend Grant.” The original watch can be seen displayed for all to see in the Omega Museum. Omega took up the opportunity and challenge presented by George Daniels, a well known English watchmaker who had developed the breakthrough co-axial escapement, and put it into large scale production in 1999 with the release of the Omega Co-Axial Caliber 2500. Omega boasted the new mechanism to be the first new practical watch escapement invented since 250 years. Omega followed up in 2007 by showcasing its new proprietary Co-Axial Caliber 8500 escapement featuring very low friction, high mechanical efficiency, and superb timekeeping performance. The new escapement is used in sync with a free-sprung balance, the most preferable technique for building fine watch movements. Omega’s watches featuring the Co-Axial Caliber 2500 are delivered as COSC-certified chronometers including a four-year warranty. Recently in 2013, Omega pioneered the worlds first magnetic field proof movement. This new Omega movement is resistant to magnetic fields greater than 15,000 gauss. Such awesome Magnetic field proofing achieved by Omega sent buzz waves throughout the watch industry as this feat of an chievement far surpassed any previous watch movement in the history of watchmaking. Previously anti-magnetic watches had more often than not deployed a soft iron inner case to distribute electromagnet field in a manner to cancel the effect on the movement. Omega’s methodology and strategy was to design a movement where the critical components were manufactured from non-ferrous materials, thereby making the need for an inner case to be redundant as well as achieving far greater resistance to magnetic fields. With Omega’s excelling craftmanship and engineering prowess in play they were able to include a date window on the dial as well as a transparent display case back. Those watches manufactured with inner cases are not able to include these features as that would mean adding an opening in the inner case. That would defeat the object of having an inner case. Come Baselworld 2015, Omega dazzled the purveyors of Horology once again with the launch of the new Omega Globemaster incorporating its pioneering and proprietary “Master Chronometer” antimagnetic technology movement. Omega has since then followed up by incorporating Master Chronometer movements into many other models , including the launched in 2016 line of Seamaster Planet Ocean timepieces. How much does an Omega watch cost? The Constellation Baguette is the world’s most expensive Omega watch selling for just under £1 milion. Here are five models at accessible prices* for both new and seasoned collectors. What is the Omega Warranty Like? Omega has recently in July 1st of 2018 Upgraded Manufacturer’s Warranty on all watches up too 5 Years. Thereby Omega has joined the five-year club. The brand now offers a five-year warranty on all its watches, three years extra from the watch industry’s standard warranty of two years, which is dictated by European law. Omega Seamaster Professional Planet Ocean. Omega Seamaster Aqua Terra Master Co-Axial. 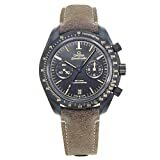 After reading the above there shouldn’t be any doubts to the question “Are Omega watches any good?” The above is more than self-explanatory enough to expel any possible doubts and to re-enforce educate regarding the exceedingly good quality, design, and accuracy of the Omega watch brand. They seem to have done more than enough to justify iconic status and consequential bragging rights for a very long time indeed. Although watches are rather like cars and well known to lose their value once they have left the showroom, it is not the same for all brands. Timepiece brands like Rolex, Omega, Cartier, Breitling, Tag Heuer and Patek Philippe keep hold of high value in the resale market even with age. Some especially limited edition timepieces might well increase in value as they age. There is a watch for everyone and for all environments that one could possibly find oneself in. The only question is the affordability as not everyone has the required budget or need to purchase such an outstanding watch. For many owning an Omega remains a distant dream. 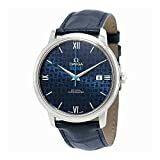 Yet another best selling expensive watches review from Watch i Watches presenting The latest and best of the Omega Watch Brand. 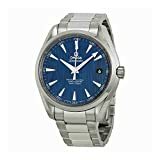 The team at WatchiWatches would like to thank you for taking your time to appreciate our latest watch review for Omega watches, the ultimate investment watches brand. We hope you have found your perfect lifetime companion from our top watch review and buying guide. Omega watches is another one of our top 10 watch brands with detailed reviews.